• Speculators have amassed large short positions in the Yen, if they cover it could mean sharply higher Treasuries and lower stocks. 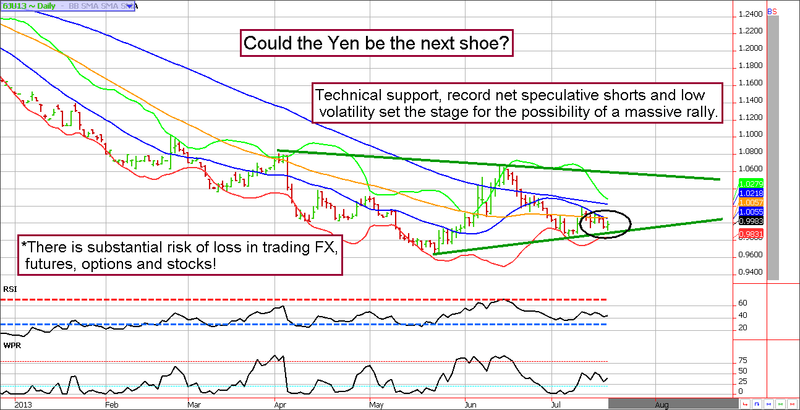 The Yen could be the next shoe to drop. If so, it will have a dramatic impact on financial assets! Most equity and bond traders have a tendency to ignore the currency markets, or at least downplay their role in the pricing of other assets. However, we feel like it is critical to be aware of what could be developing in the Japanese Yen. If we are right about an imminent short covering rally in the Yen, it will certainly put pressure on the stock market and possibly help to support Treasuries and some commodities. According to stats compiled over the previous 180 trading days, the S&P futures contract and the Yen futures are negatively correlated about 94% of the time. In other words, should the Japanese currency reverse course, it could trigger a correction in the S&P and help to support Treasury prices. Similarly, there are strong positive correlations between the Yen and U.S. grain prices; if a Yen rally materializes, agricultural commodity prices will likely follow. Let’s take a closer look at the reason for potential concern. The Japanese Yen has been the victim of relentless government intervention combined with massive speculation. Perhaps one of the most popular, and for many, the most profitable trade in 2013, has been shorting the Yen against the U.S. dollar (and most other major currencies). However, as we all know, traders who sell will eventually have to buy back their positions to exit. In our view, this massively over-crowded trade is ripe for a sharp bout of short covering. A similar “carry trade” environment in 2007 ended with a 2,500 pip rally in the Yen vs. the greenback! At the moment, large speculators are holding near record short positions in the Yen vs. the dollar in the futures market. 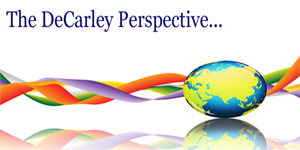 While there is no such measure available in the FOREX market, it is assumed to be similar. 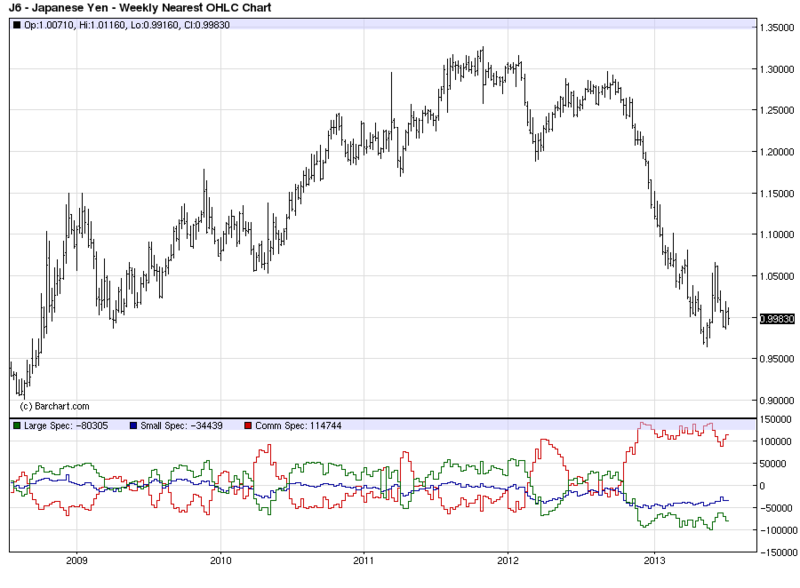 Accordingly, it is highly likely that most of the speculative sellers are already short the Yen. At the moment, they are likely comfortable, or even complacent, but as the markets teach us over and over again these circumstances never last forever. We see technical support in the September Yen futures near .9900 and believe the market has a good chance of holding there. However, if we are wrong the next areas of support (and therefore a possible reversal) will be .9742 and then again near .9500.